Enjoy iTunes Music on any devices, - anywhere! Many of us are iTunes users and purchase a lot of music from the iTunes store. The reason being that most record labels publish to iTunes store before pushing out to other stores. The second reason being that music is often of very good quality. However, iTunes provides downloads in AAC or AAC+ formats at 256 kbps with extensions .m4a and .m4p, which is playable on less devices compared to the older and more ubiquitous MP3 format? So what do we do when our third party player cannot play M4A or M4P files? Don’t worry, there is a solution. 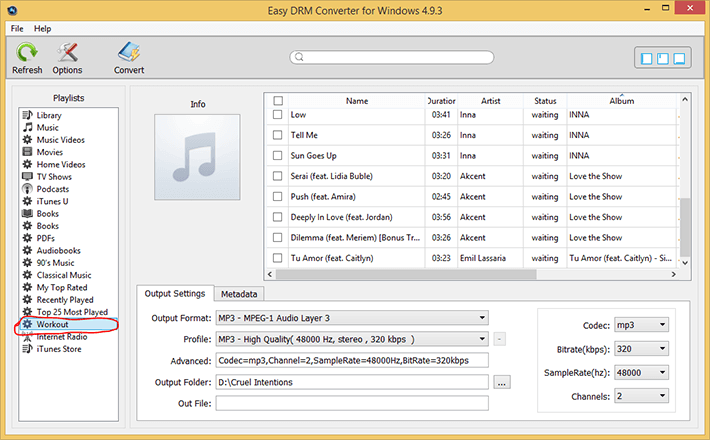 Easy DRM Converter for Windows lets you easily batch convert iTunes playlists to MP3 so that they can be playable on audio players or car stereos that cannot play M4A (AAC) or M4P files. How is it possible? Read on to know more. We need Windows XP/7/8/8.1 or Windows 10, the latest version of iTunes and a playlist made out of iTunes purchased songs and prerequisites. Launch iTunes and head over to your playlist. Make sure that the songs present are downloaded to ask and streaming over the internet are not required. Double-clicking any songs should play them instantly. In this example, I’m going to convert my workout playlist to MP3. Launch Easy DRM Converter for Windows from the Start Menu. On the main screen, click the ‘Refresh’ button so that library information is up to date. On the left panel, Select the playlist you want to convert. Then checkmark all the songs in the list. Then set the output format to ‘MP3’ and the profile to ‘High Quality’. Also, set the output folder according to your choice. Click the ‘Convert’ button. The conversion starts and takes a while to complete. 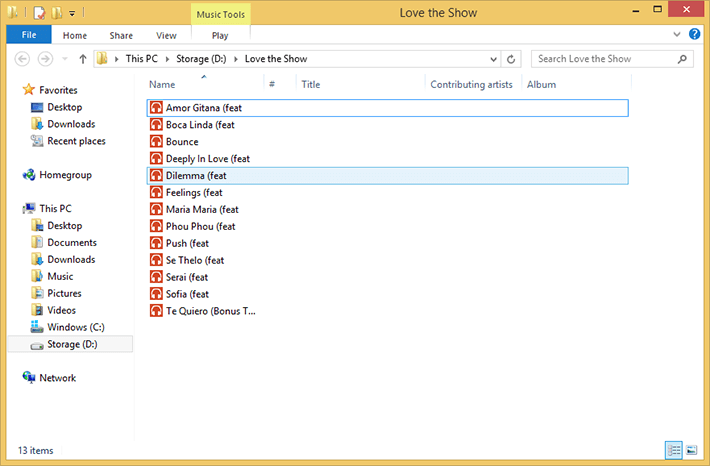 Once complete, click the ‘Explore Save File’ button to locate the converted files. The DRM-free MP3 files are in the location you had specified. 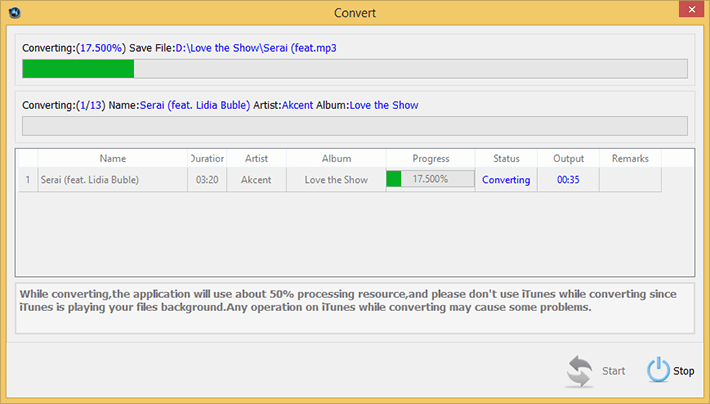 Now You can copy the MP3 files to your devices that cannot play M4A or M4P. So simple, isn’t it? The iTunes integration of Easy DRM Converter ensures that you need not export the M4A/M4P files to a folder and then transcode to MP3. The app handles the conversion, ID3 tags and encoding bitrate once specified, making it a hassle free process. 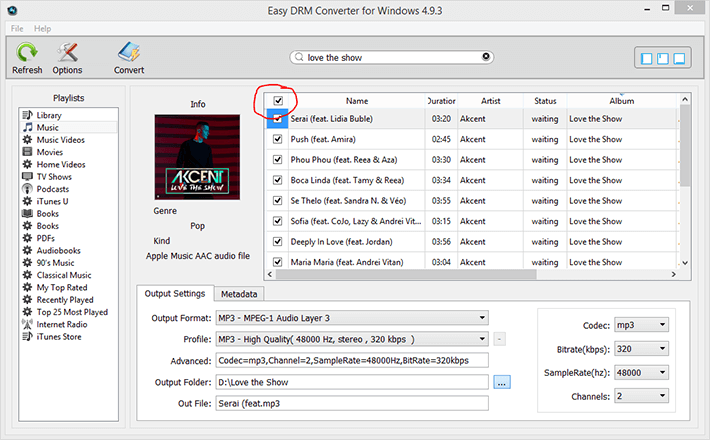 Easy DRM Converter not only removes DRM from iTunes playlists but can also transcode them different formats making them playable on a wide variety of digital devices, even those that cannot play iTunes-native M4A (AAC), M4P files. 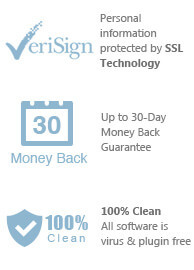 You can download free trial version to have a try. 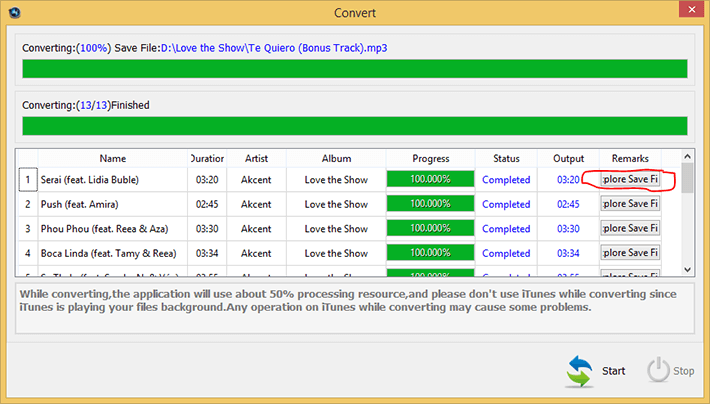 The trial version only enables you to convert the first 3 minutes of each songs. You can buy the full version to unlock the limitation. I’ll definitely recommend this to everyone who use old players that only support older music formats. Windows 10 / 8.1 / 8 / 7 / XP. 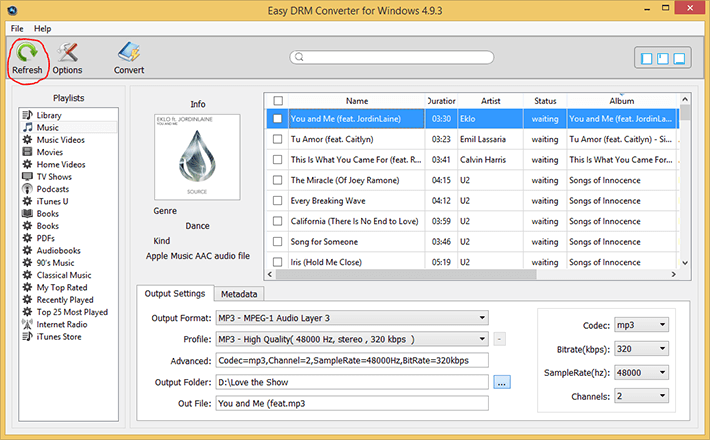 You can immediately download the latest version of Easy M4P Converter for Windows from our website and start to convert iTunes playlist to MP3 right now!